Color us surprised, Frank "Shawshank" Darabont is penning a new script for the much-delayed Godzilla picture. We've been hearing about Gareth Edwards' Godzilla reboot for months and months, but it sounds as though it's still not quite ready for prime time. The classic Kaiju is kicking up a ton of drama for one monster movie. According to Deadline Warner Bros. producers Dan Lin and Roy Lee brought Godzilla to WB, but when Legendary Pictures purchased the monster's rights from the Toho Company Godzilla was transfered over. And now Legendary wants Lee and Lin out. Hitfix has reporting that the two producers have actually left the project. And on the heel of this announcement comes yet another huge development. Frank Darabont (The Walking Dead) has been hired for a last-minute rewrite of the script. This is just months before the scheduled shoot date in March. Which means Darabont probably won't write a total overhaul, but we're betting he'll pump up the drama plenty. 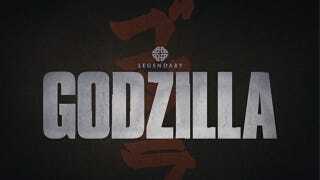 Godzilla is supposed to be released in theaters on May 16, 2014. But with all this shuffling around, we're not holding our breath. Still, we're happy Darabont is getting work making monsters again.